The L.A. Museum of the Holocaust ("LAMOTH") program, which drew some 1,100 attendees, began at 2 p.m. and included city leaders, rabbis and others, who offered words of remembrance for the 6 million Jews who perished in the Shoah. “I hope we as Jews will stand up to make sure that just as Germany has accepted its role [in the Holocaust] and has spoken out, and other countries have done the same, it is time for us to see that in every national capital, that when we see the mass extermination of peoples we all have a responsibility to make sure that history is written,” Los Angeles Mayor Eric Garcetti said, speaking from the stage under a canopy set up for the day’s program. 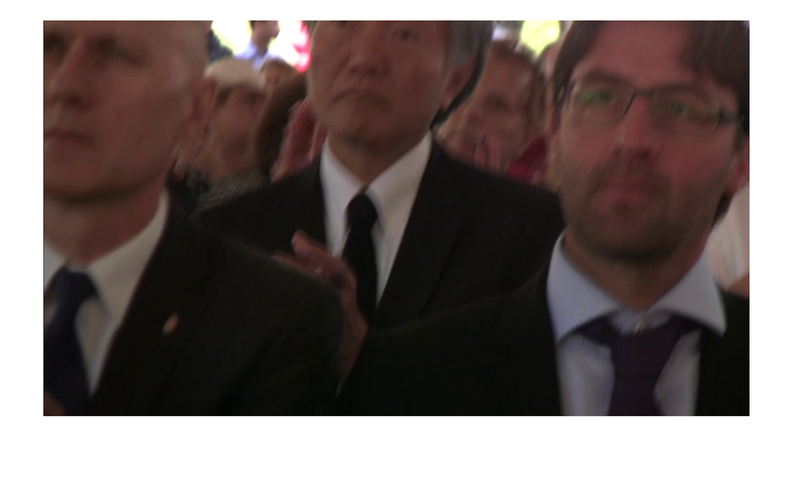 Chronicled in JewTube's video clips: Randy Schoenberg, Pres., LA MOTH; Israeli Consul General David Siegel; Cantor Herschel Fox (Temple Valley Beth Shalom) singing the "Jewish Partisan's Hymn"; Rabbi Shaye Berkowitz and son Schneur Berkowitz, 22, of Hancock Park; Rabbi Sharon Brous of Ikar Congregation. Mimouna, the traditional festival celebrated by North African Jews on the last day of Passover, is often overlooked when discussing the Jewish holiday of liberation. Sephardic songwriter/singer, Avihu Medina performed last Mimouna in Los Angeles and believes he found a little too-much Tel Aviv there- instead of in Tel Aviv.